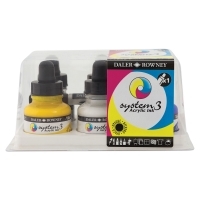 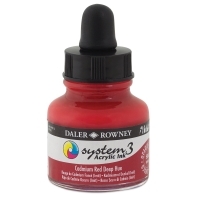 System 3 Acrylic Inks are pigment-based opaque inks that are perfect for both mixed media and multi-technique work. 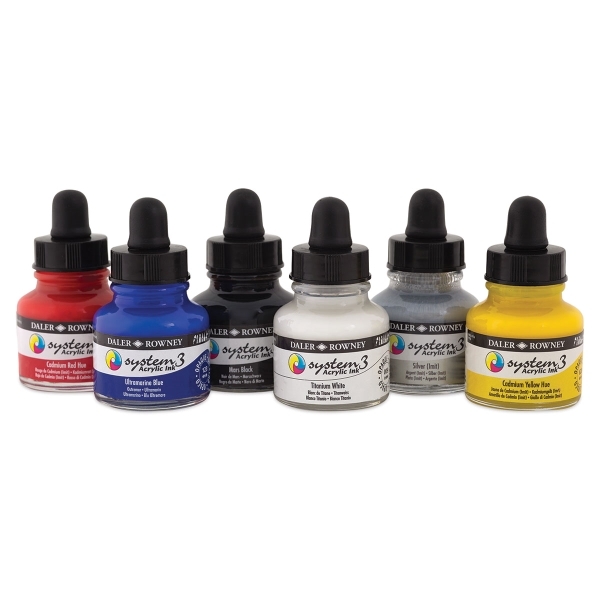 They work well on a variety of surfaces for both traditional fine art as well as every type of creative work. 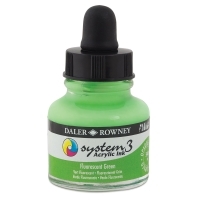 These waterbased inks are water-resistant when dry. Choose from a fine art palette of 28 colors, which matches the System 3 Acrylics paint range. 1 oz (29.5 ml) dropper bottles.